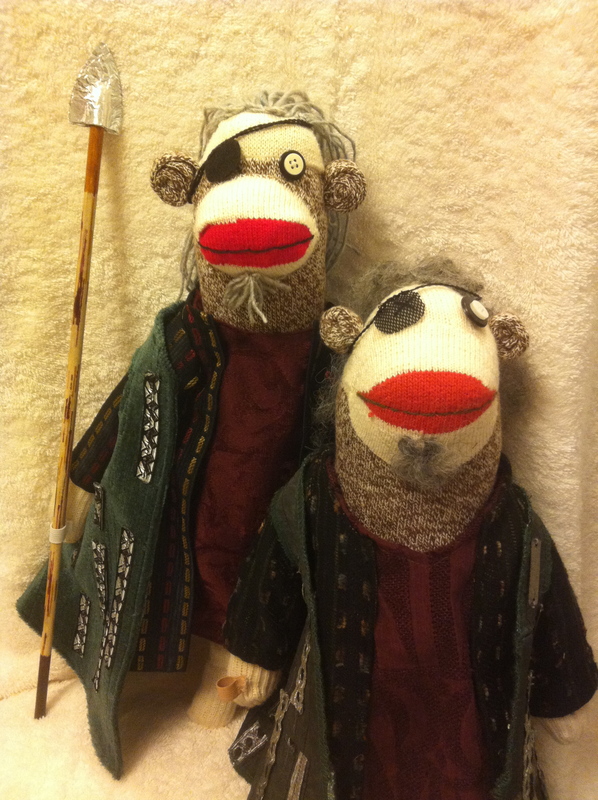 As I’ve been creating my opera sock monkeys over the last couple of years, I’ve always thought of them as a complete item – meaning it’s a one-of-a-kind creation, when it’s finished I’m done with it and then I move on to the next project. So I was really surprised a couple weeks ago when a reader in Australia contacted me about Wotan. 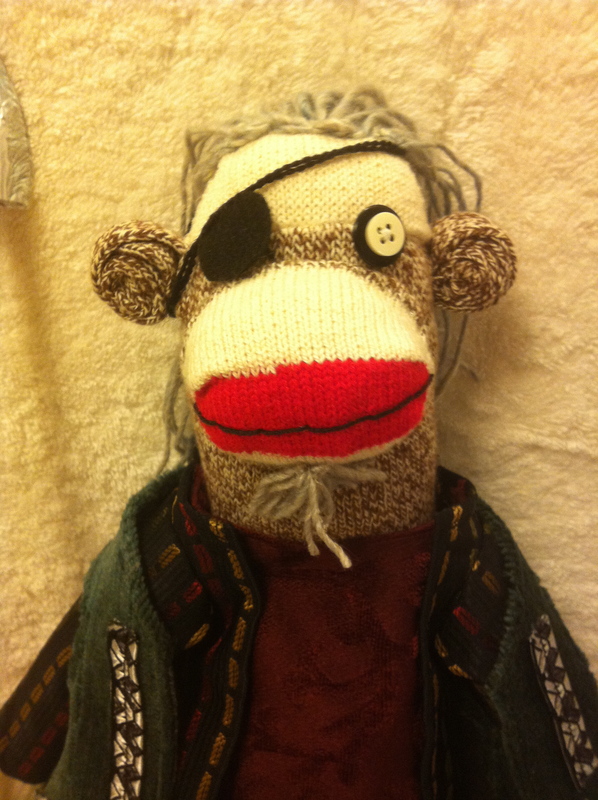 The Wotan sock monkey was the first I ever made, as a gift for Greer Grimsley during the 2009 Ring cycle I worked with him on at Seattle Opera. Since that Wotan wasn’t available, could I make another? Ummm….sure…yes! I used an actual vintage sock for my first creation, but knew I could easily create a monkey from the newer red heel socks I now use. However, I couldn’t use the same fabrics because I’d pieced together a few scraps from the costume shop from the original costumes, but thought I could easily find something similar. Wrong! This proved to be a bigger challenge than I planned for, and over a week I visited every fabric store in Seattle as well as half a dozen thrift stores trying to find a good match. 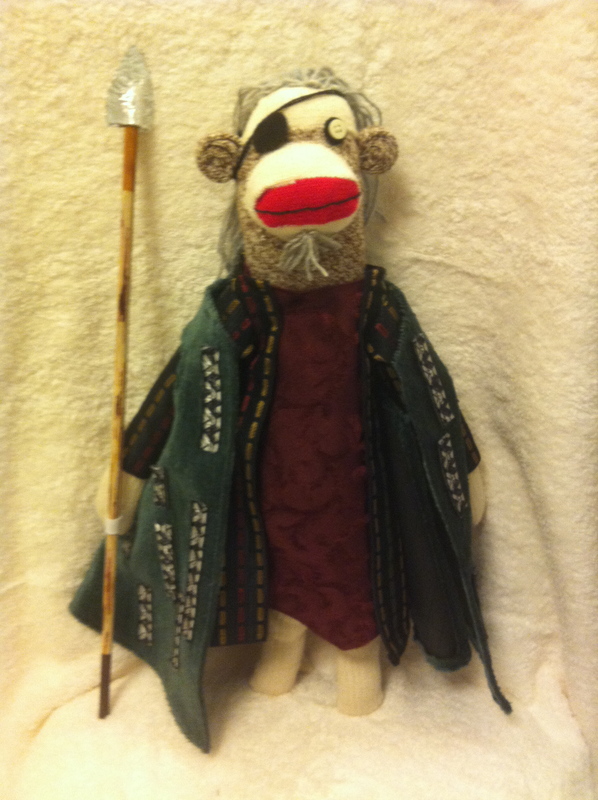 The closest I got was with a couple of upholstery weight fabrics, which don’t drape well on a sock monkey-sized scale, but figured I’d make it work. 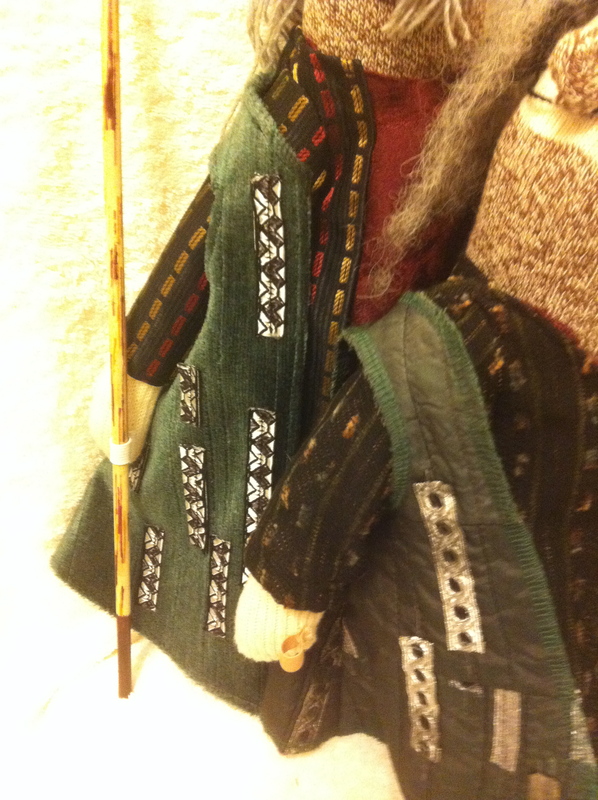 As for the trim on the coat, there just wasn’t anything available that was close to it, and ended up with ribbon I folded in half, then hand-colored to get something similar to the original. Even with those challenges, I was really pleased with the result, especially his hair which I like better than the original – I had a skein of vintage wool yarn with a nice mottled gray color that worked out perfectly, and was easier to work with than the wig fiber I used on Wotan #1.